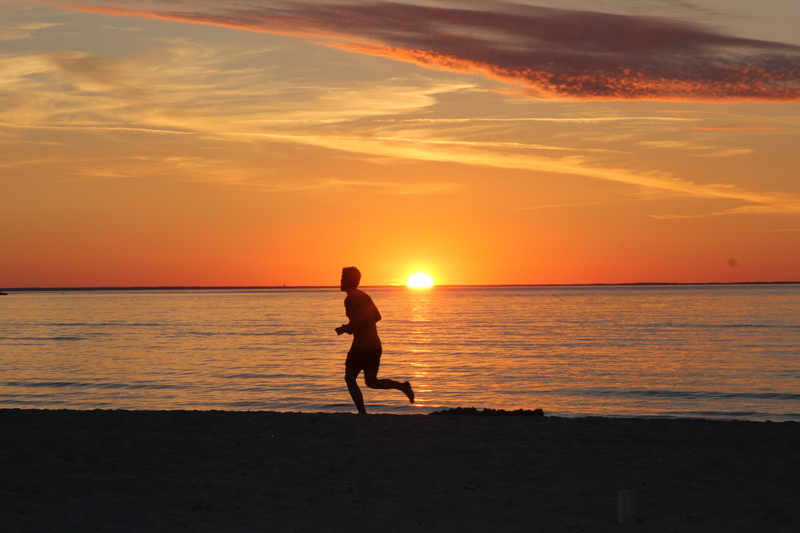 We guarantee all our guests a stay within 150 metres from the beach. The bay’s shallow waters warm up relatively quickly and offer visitors a comfortable bathing temperature. This means you can take a swim well into the autumn season. 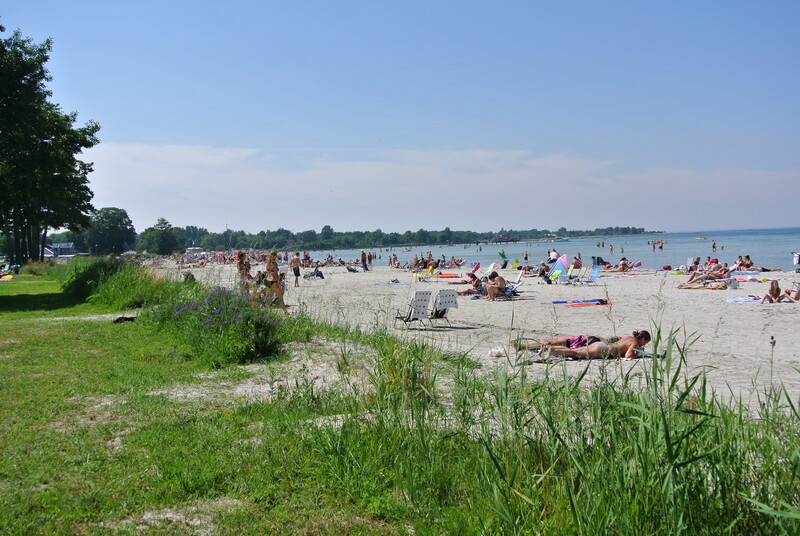 The beach in Köpingsvik is about 1.3 km long and there is an accessibility ramp at the northern end. 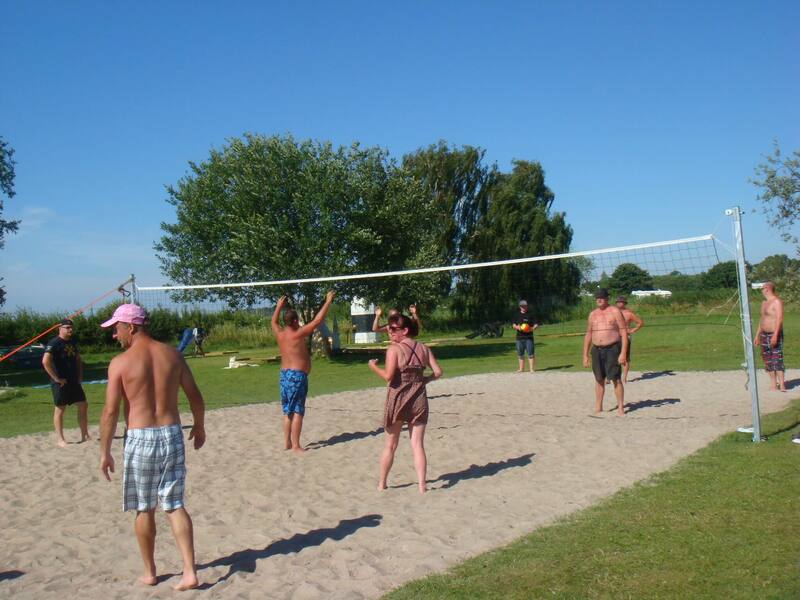 The shallow bay with its soft white sand is ideal for both small and bigger children. 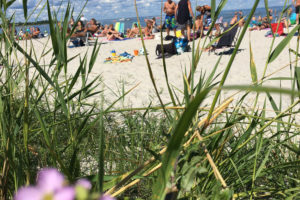 A number of large trees along the beach offer shady spots. You can either sunbathe on the soft sand or on the grass. 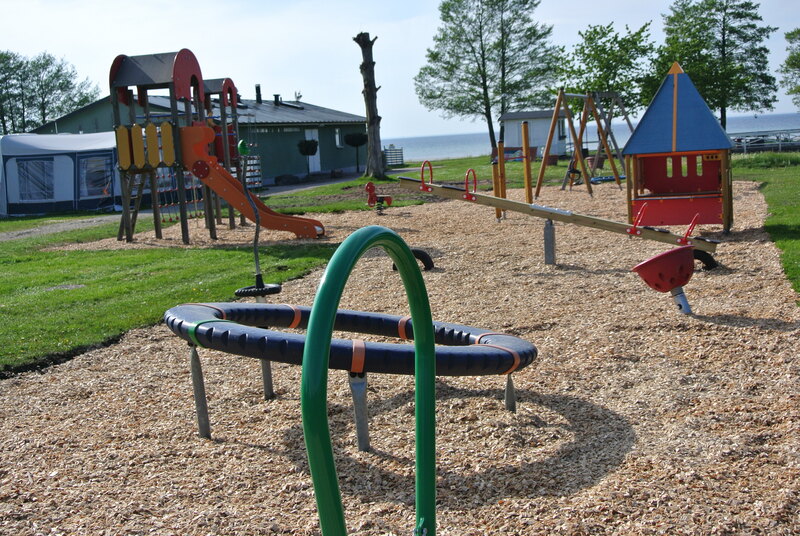 There is a walking path along the entire Köpingsvik bay, with outdoor gym equipment and benches. 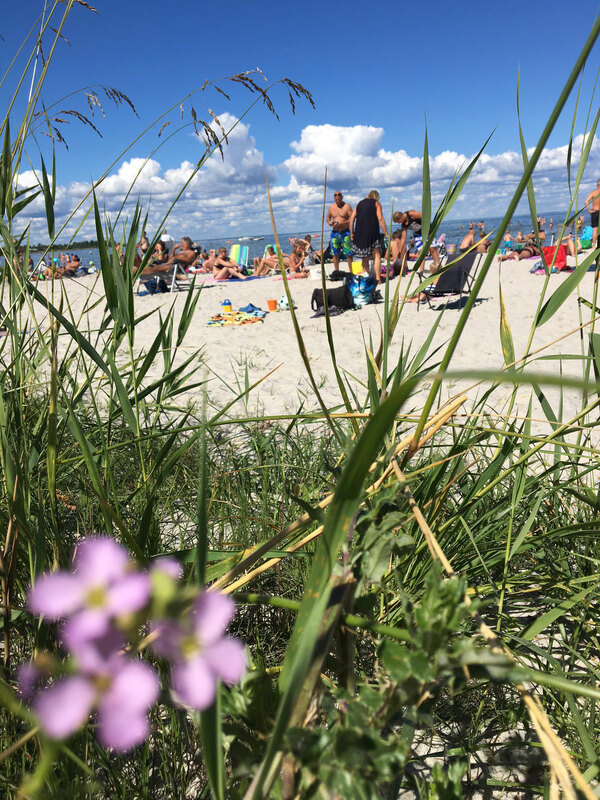 You can continue this path 4 km up to Lundegård and enjoy a wonderful walk along the seashore. Enjoy running along the beach. Playground for both small and big children. 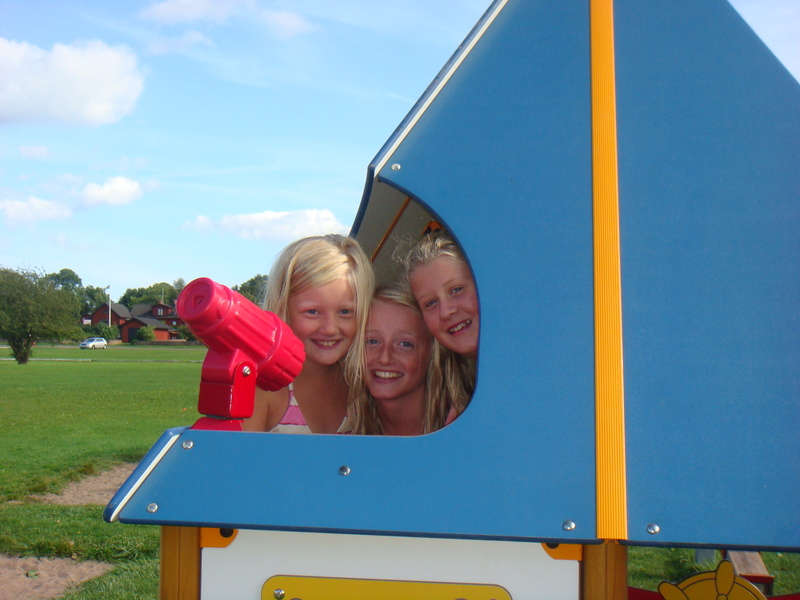 Our beautiful play area is of great importance to us. We believe it is important for children to play and be outdoors as much as possible. 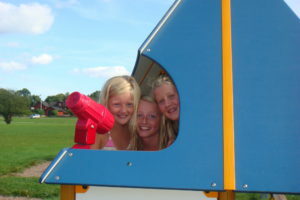 That is why we have created a playground for children to have fun, relax and meet new friends. Some may become friends for life! 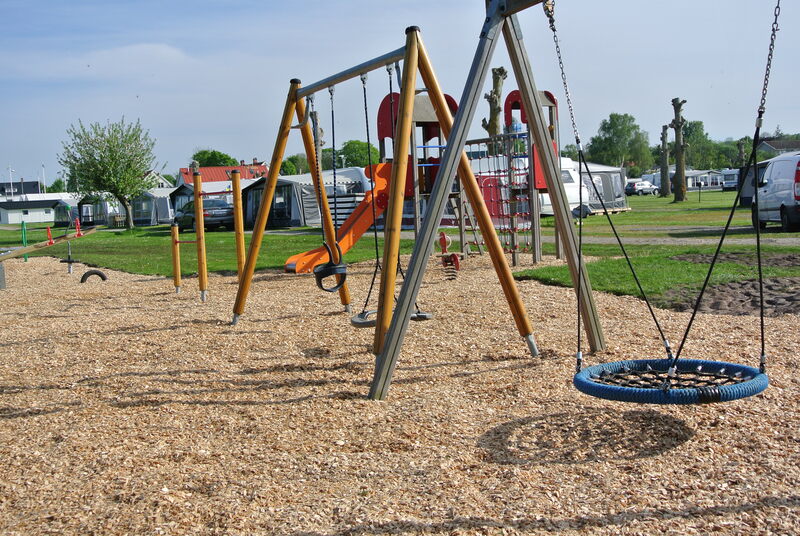 The camping’s play area is the natural meeting place for children of various ages, from early morning to late in the evening. 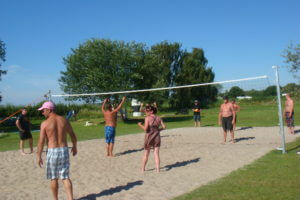 Next to the playground is a popular football and volleyball pitch with loads of activities all summer. 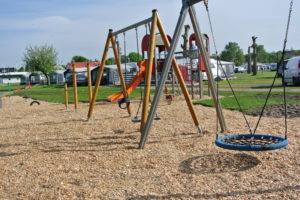 The larger park-like area next to the camping is ideal for playing games and exercising. 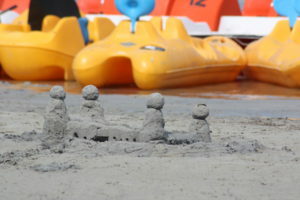 And of course both small and bigger children will enjoy the shallow beach with its soft white sand. The play area, beach and green area around us create the perfect place for a holiday full of games and days on the beach. Happy children means happy parents. Choose path G if you wish to stay nearest the play area. 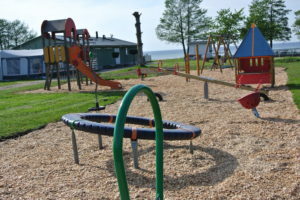 The play area is a meeting place for children.